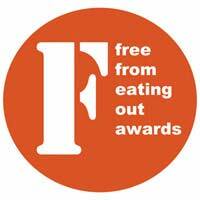 The complete list of winners of all the FreeFrom Food Awards has been announced (find the full details of where you can buy the winning products), and the BFree Sweet Potato Wraps were the overall winner. Congratulations to BFree; I hope you’ve tried the wraps (available in Tesco and Asda). If not, do! The fact that a gluten free wrap is not just available, but uses innovative ingredients to produce a proper, pliable and fully functional wrap, just shows how far the gluten free food market has come in recent years. Twenty years ago, when we started on the gluten free life, tinned bread was still a sore memory among some coeliacs—luckily, we avoided that, but we do remember how limited the options were back then. 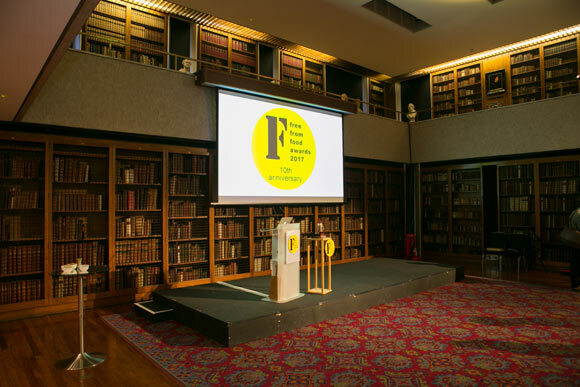 The FreeFrom Awards team have produced a book that covers the development of the free from market over the last 10 years—if you, like us, have been living with coeliac disease for 10 years or more, you’ll agree that there has been a huge change in the availability and variety of products. For evidence of that, do check out the winners, particularly of my own favourite category: Tea Time! My personal favourites among the winners include Kelkin’s teacakes and Prewett’s Chocoful. The teacakes are most likely to be popular with children, though I will confess that when grownup Coeliac Daughter and I discovered the Chocoful, we ripped the just-bought packet open in the supermarket car park, and ate them all. Both would make great options for a children’s birthday party—I wish they’d been around 15 years ago, when we were doing birthday parties! There are more ‘grownup’ tea time options among the winners, of course: try the white chocolate and cranberry cookies from Gingerella, or, for a decadent dessert, the Reine de Saba from Marnie Searchwell. Last year, it seemed as though most of the Tea Time submissions were ginger; this year, it was coconut. Isn’t it interesting how there do seem to be trends—how does that happen?